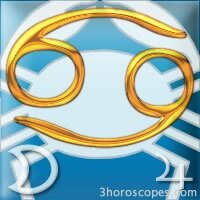 This lunation of 5 in your tenth solar house will focus on your need to climb the social ladder. That's why you are close to reaching your goals. Keep working on it. On another note, during this month of April you will also get to show your skills. 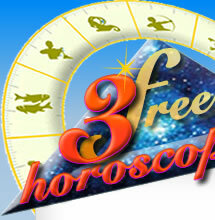 Since this new moon of 5 is in dissonance with your birth sun it will affect both your professional and personal lives. You need to focus! Mars is in your eleventh solar house and you need to make sure you give your activities more media coverage. Your friends may help you reach your goals. Neptune in dissonance may give you more creativity (if you're an artist inspiration comes easily) but make sure you keep your feet on the ground! Saturn in dissonance will help you set the record straight in order for you to let go of your illusions. Good aspects of Venus in the week of 7 show that it's the right time for you to ask for attention and hugs from your partner. You may receive a gift and make more money as well. In the week of 7, the Sun is in dissonance with your decan and everything will irritate you. You doubt yourself, your abilities and other's and that makes things worse at home and at work. Go outside and let go, it will be very helpful. Be careful because in the week of 21, Mercury is in dissonance, you won't feel like communicating and you won't reach your personal goals. If you work in the trade field, make sure you don't spend too much money.